Russia's top diplomat said he "did not know where John Bolton had taken that information from"
DOHA, March 4. /TASS/. The statement made by US National Security Advisor John Bolton that Russia is allegedly not supplying drugs to Venezuela is wrong, Russian Foreign Minister Sergey Lavrov said on Monday at a joint news conference with Mohammed bin Abdulrahman bin Jassim Al Thani, Qatari Deputy Prime Minister and Minister of Foreign Affairs. Bolton tweeted earlier that Venezuela’s President Nicolas Maduro is lying that Moscow allegedly supplied a batch of medication to Caracas. 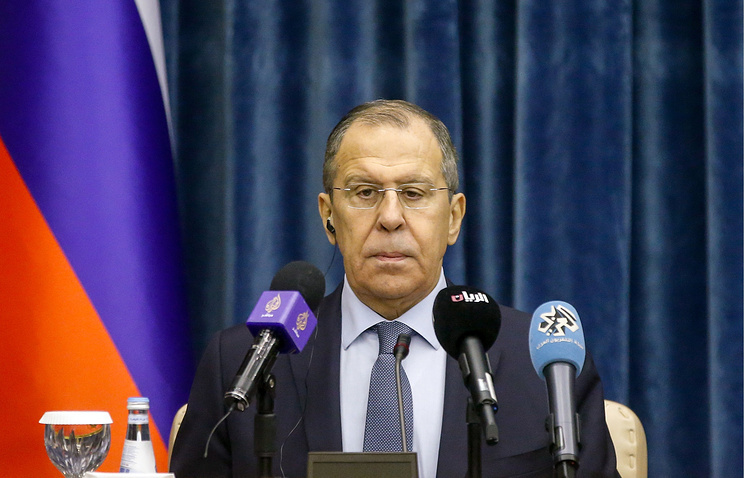 "I don’t know where he takes this information from, but we delivered 7.5 tonnes of drugs to the Venezuelan people through the World Health Organization and the Pan American Health Organization," Lavrov noted. "So, no one misinformed anyone." "Bolton just heard wrong information from someone and decided to immediately spread it across the world," the Russian foreign minister added. On February 21, the Russian side delivered to Venezuela a cargo with drugs and medical equipment. The ceremony was held at Caracas Airport and involved Russian Ambassador to Venezuela Vladimir Zayemsky and senior representatives for the republic’s health ministry.